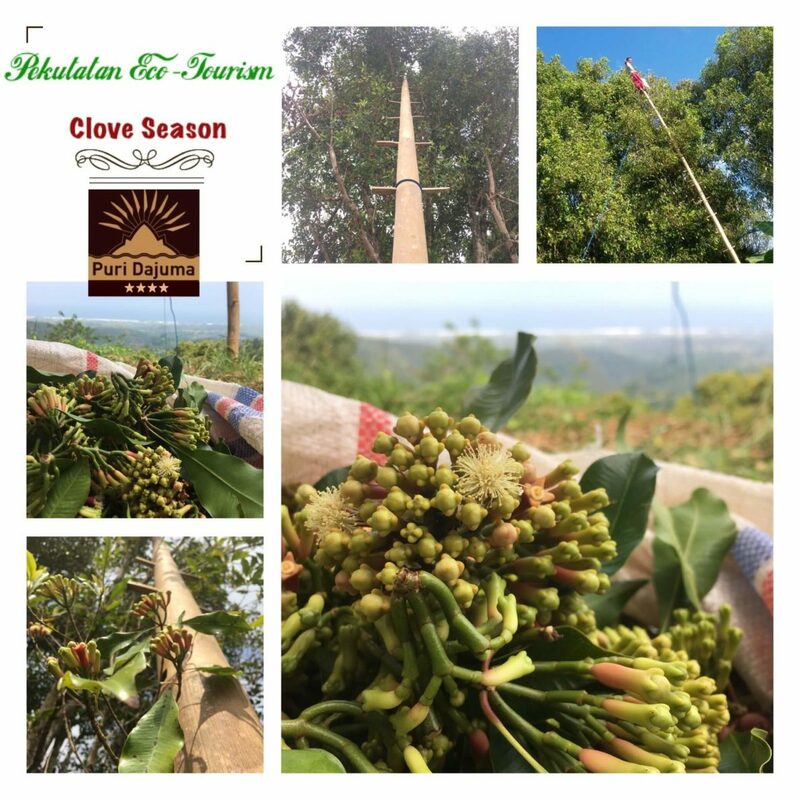 Now in Jembrana, the West Bali regency where Dajuma is situated, is the season of the cloves. The villagers of Pekutatan sub district (mostly the villages in the mountain such as Asahduren, Manggis Sari & Bunut Bolong) are very busy with their harvesting. On one of the picture is the “Banggul” traditional bamboo ladder that the farmer use to pick the cloves. Almost in each house the people are drying the cloves. When our guests cross the villages they can not miss the inimitable smell of cloves. They are always excited to discover this so spectacular harvest through our activities: Pekutatan Eco Tourism tour, Secret Waterfall, or Cycling around Dajuma. Welcome!